GAA All Ireland Senior Football Semi-Final 2016 this Sunday. 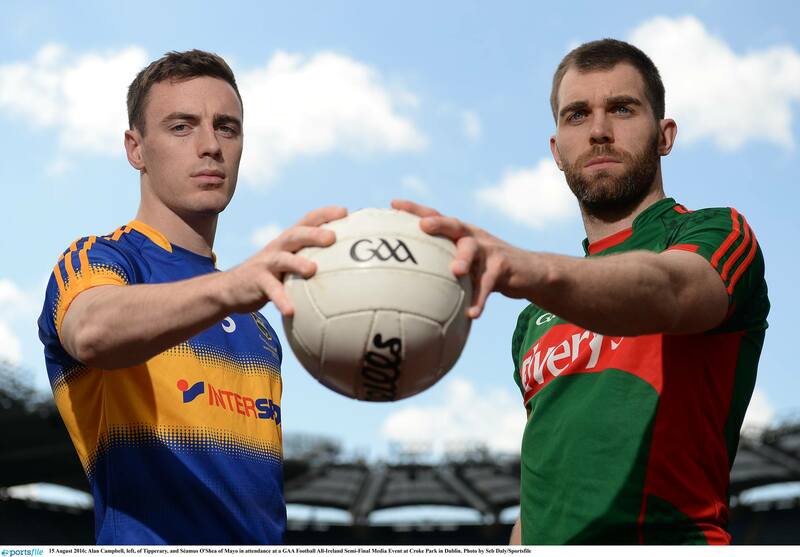 Who will take the glory, Tipperary or Mayo? 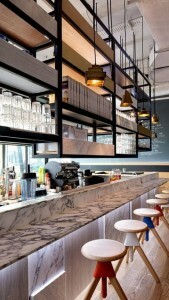 Will you make it ‘Up for the Match‘? Can Tipperary keep the dream alive of winning the double? A fete that has not been achieved since the rebels in 1990. It was a case of job done for the Tipp hurlers when a strong second half display saw them dispatch a gritty Galway side at Croke Park last weekend. Alan Campbell and Seamus O’Shea will go head to head this Sunday as Tipperary take on Mayo in the All Ire. Senior Football Semi Final. Tipp will be hoping to keep the fairytale year going on Sunday, having accounted for Derry in the qualifiers and Connaught champions Galway in the quarter finals – confidence is sure to be high in the camp.Having achieved plenty of underage success in recent years along with the club success of Clonmel Commercials in the All-Ireland club series it was only a matter of time until the fruits of this reached senior level. Tipp have raised plenty of eyebrows throughout this campaign and have the experts talking about the impressive attacking football they play. 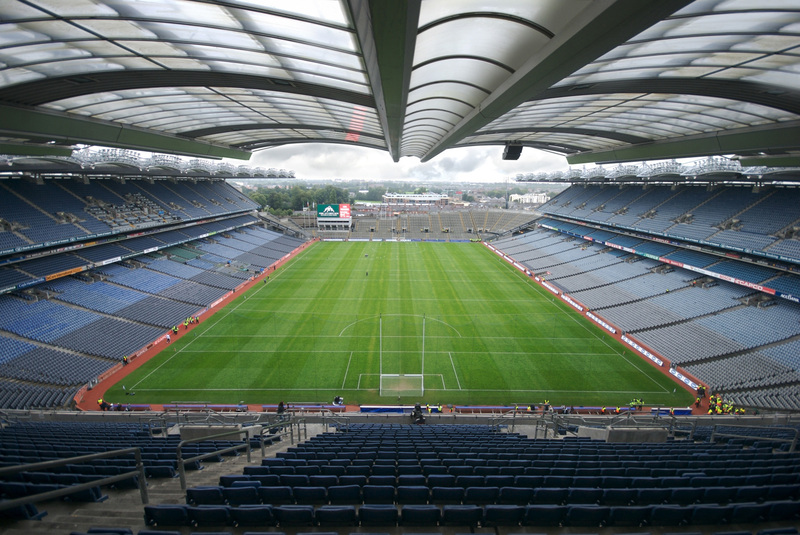 This being said, Tipp will need everything to go right on the day to be a match for a very strong Mayo team who have been teetering on the edge of All Ireland glory for the last number of years. Mayo are seeking a spot in the September decider for the first time since 2013. Everyone was shocked at the surprise defeat Mayo suffered at the hands of Connaught rivals Galway in the provincial championship when Mayo were seeking a record 6 senior titles in a row. Mayo find themselves coming into this semi-final having taken an unfamiliar route through the qualifiers, they look a very determined, battled hardened and dogged team. This was on show when they put Tyrone to the sword by the narrowest of margins to book their semi-final spot. 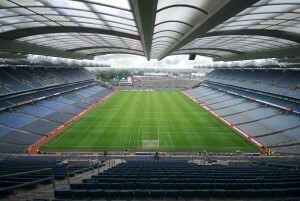 On paper this promises to be a very mouth-watering affair with plenty of free flowing attacking football on display, Mayo will certainly carry the ‘favourites’ tag, however Tipp have shown throughout this campaign they are happy to go in as underdogs and cause a massive upset by ending Mayo’s dream of All Ireland glory! So will you be ‘Up for the Match‘ this Sunday? GAA Supporter, 4 star Red Cow Moran Hotel are easily accessible and convenient to Croke Park and are offering some great GAA Match specials, check out www.redcowmoranhotel.com. 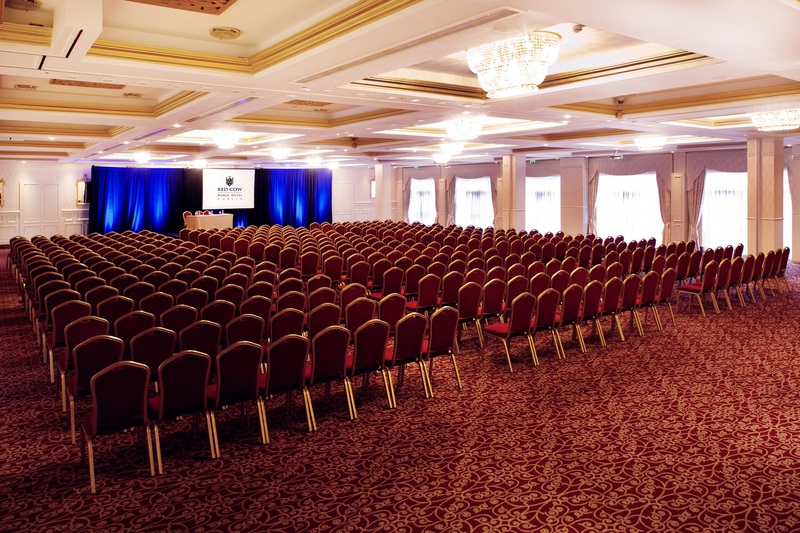 Choosing the best Dublin City Venue for your Meeting or Conference could be made so much easier by reading through these top tips! 1. LOCATION: Consider your audience, where are your attending delegates travelling from? It is so important nowadays to consider access for both National and International attendees when choosing your Dublin City Venue. Will they be travelling by road, rail or air? Is the chosen venue convenient to the main transport links? 2. 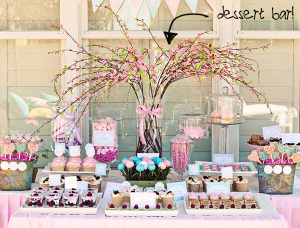 THE RIGHT FIT: What impression are you trying to make with your event? 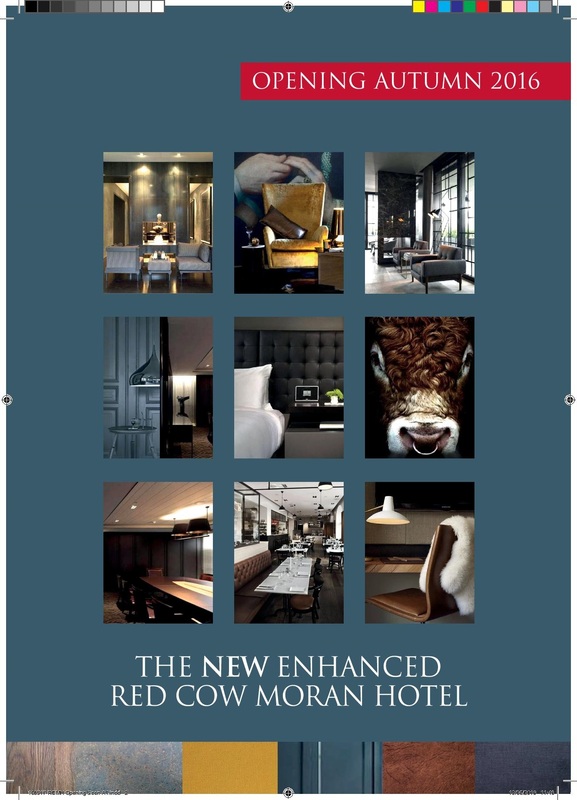 It is important to consider how well aligned the image of this Dublin City Venue is with your brand. 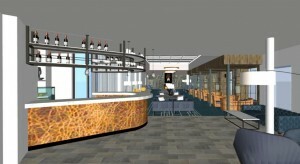 Will the venue chosen reflect or detract from your events image? 3. 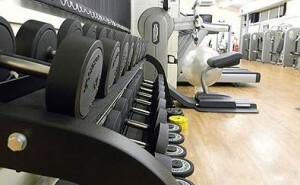 CAPACITY: What event are you looking to host and what capacity do you need to facilitate? There is nothing worse than having to go with a Dublin City Venue that is too small and therefore restricts how many you can invite or how you structure the day. 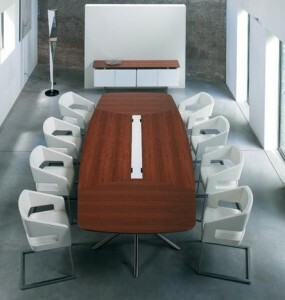 On the other hand, choose a venue that is too large and you risk a lack of intimacy and contact with your delegates. 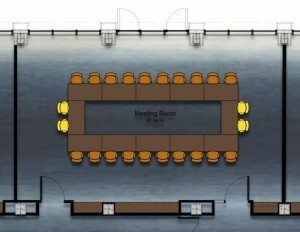 An informed chat with the venue representative will help you agree the best fit to suit all the criteria but it’s important to have a choice of options located within the one venue so you have flexibility. 4. TECHNOLOGY: We have all heard about the disaster that was the Web Summit 2014. 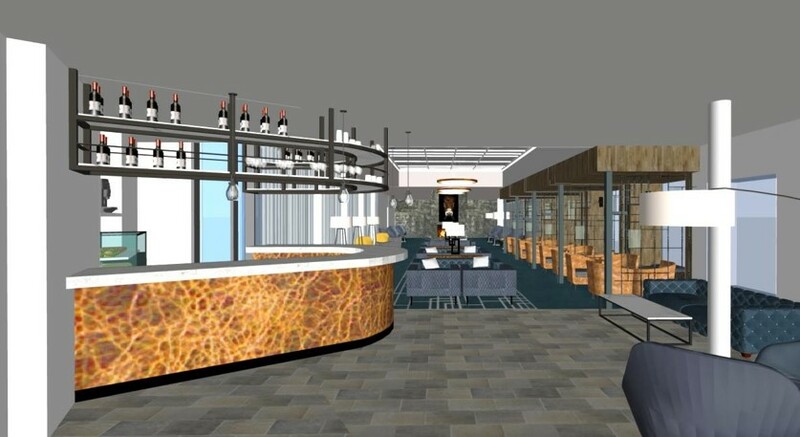 If the success of your event is dependent on technology then it is crucial that the venue you choose can accommodate your requirements. An added bonus is to choose a venue that has a person with good technical expertise based onsite so you can get informed answers to your technical questions and also have help onsite should you need it. 5. 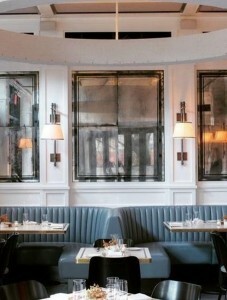 COST: If the recession has taught us anything it is the willingness to negotiate and most venue operators will negotiate if the budget is not quite meeting the costs particularly if it is a largescale event with multiple elements. 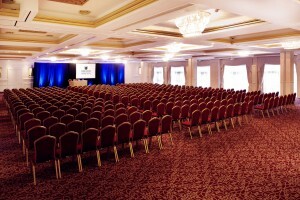 What is important to remember though is that first impressions last so if you are staging an event to impress, then it is important not just to pick the right Dublin City Venue but to ensure that the accommodation and catering (indeed all the elements) befit the audience and impression you want to give and that might need a little relaxing of the wallet on occasion. 6. ACOMMODATION: Is this provided by the chosen Dublin City Venue and if not are there facilities nearby for delegates who need to stayover? 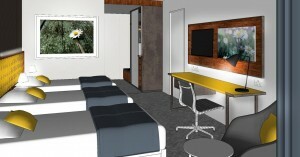 It is always simpler for all concerned to try and select a venue that ticks as many boxes under one roof as possible and one of these is to have rooms onsite. If the venue is a hotel it is important to check if they can facilitate all of your delegates and if not, ensure they have a relationship with another hotel for overflow rooms. 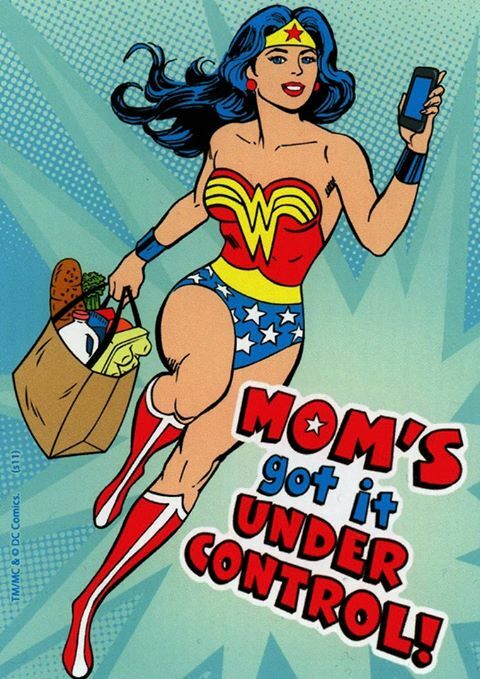 Mothers Day – Even Supermums need a Day Off! 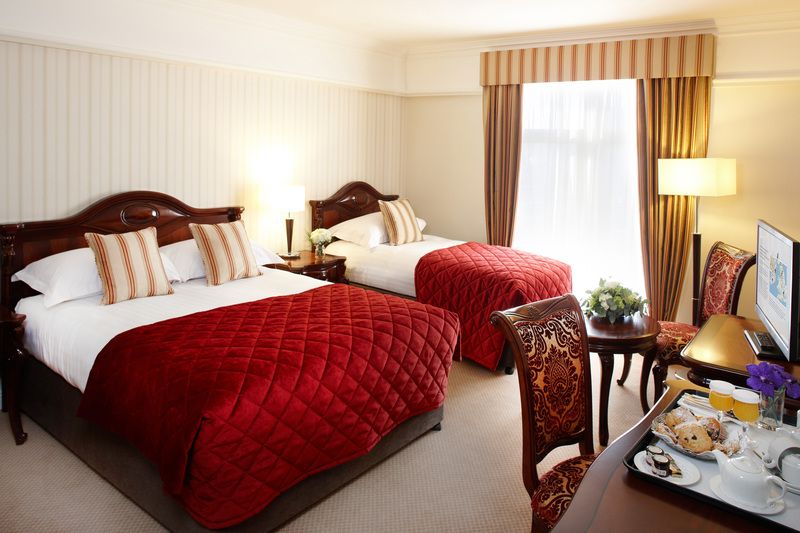 At the Red Cow Cow Moran Hotel we have been looking after Mums for over two decades and appreciate first hand not only how hard our Mums work but also how important Mums are to us. 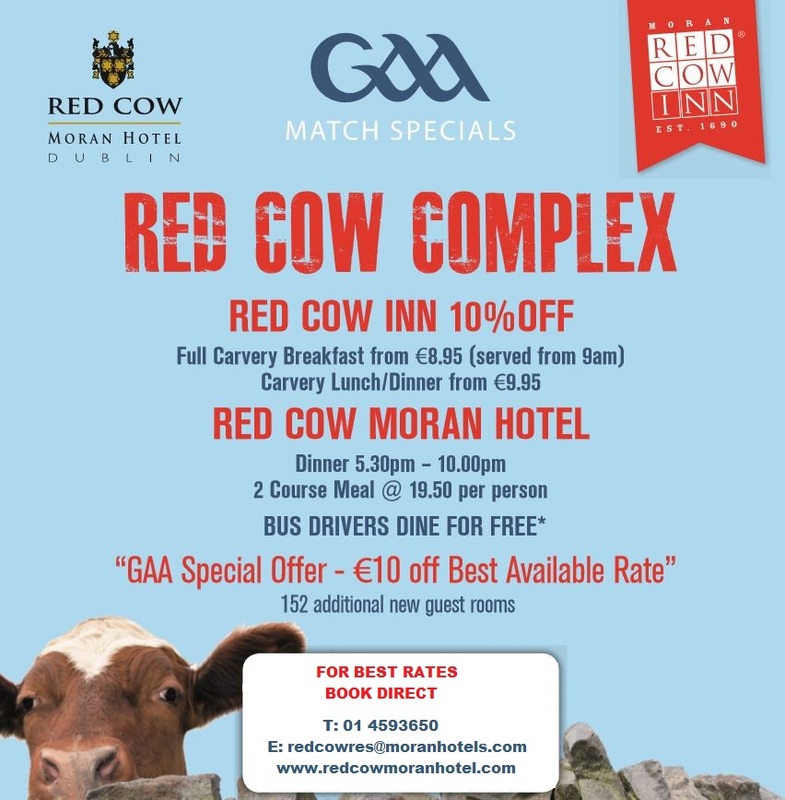 So for Mothers Day at the Red Cow Moran Hotel and Red Cow Inn we go the extra mile every year to make sure your Supermum gets the spoiling she deserves. 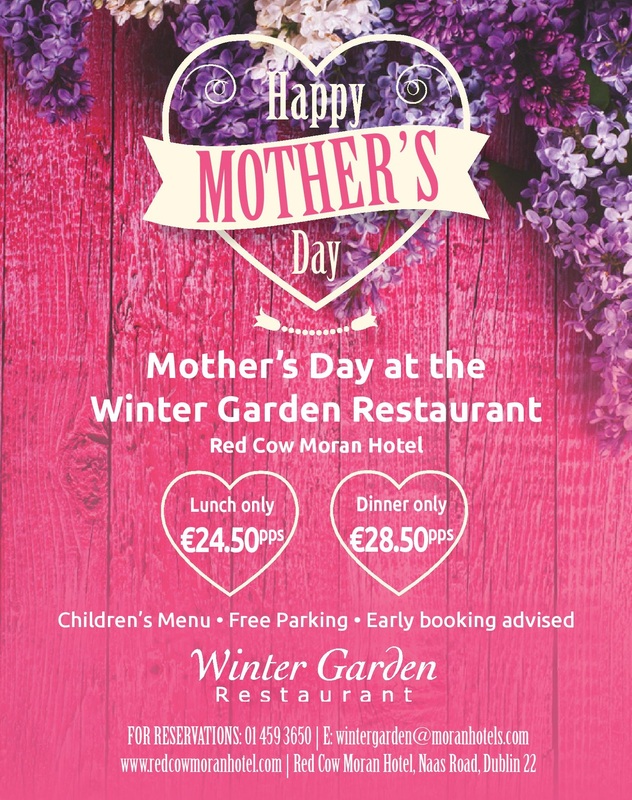 This year we have a choice of four fantastic Mothers Day Shows or a delicious meal in our Winter Garden Restaurant any of which would make a great Mothers Day Gift. Red Hurley Show at the Red Cow Moran Hotel. 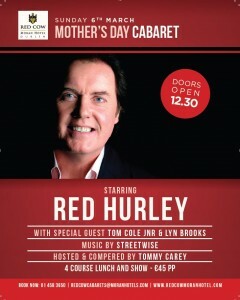 Special guests Tom Cole Jnr and Lyn Brooks, Compere Tommy Carey and Music by Streetwise. Tickets are just €45pp and include a 3 course Mothers Day lunch. 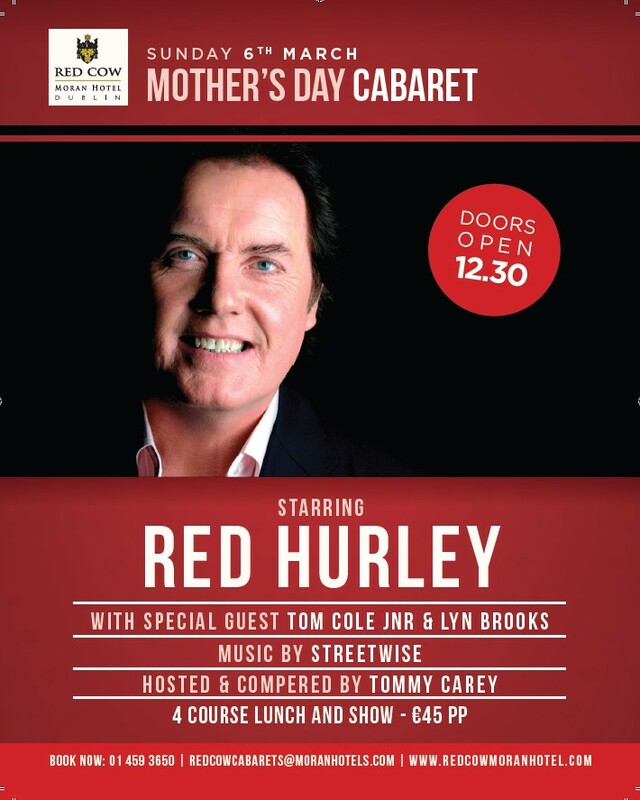 Known as the King of Irelands Pop Music Scene in the 70’s and 80’s; Red Hurley has been enjoying a huge career resurgence in Ireland and the US and recently celebrate 40 years in the Music industry. 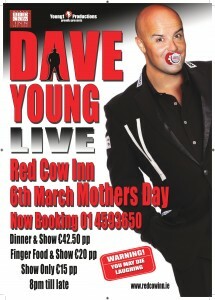 Dave Young Live at the Red Cow Inn. Dinner & Show Tickets €42.50pp, Finger Food & Show Tickets €20pp and Show Only Tickets €15pp. The Outrageous Dave Young will guarantee your Mum splits her sides laughing…. 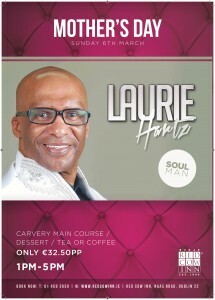 Laurie Hartz Carvery Lunch and Show at the Red Cow Inn. 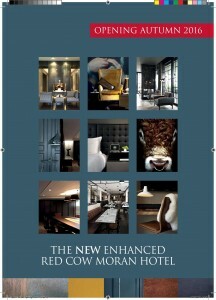 Tickets €32.50pp. 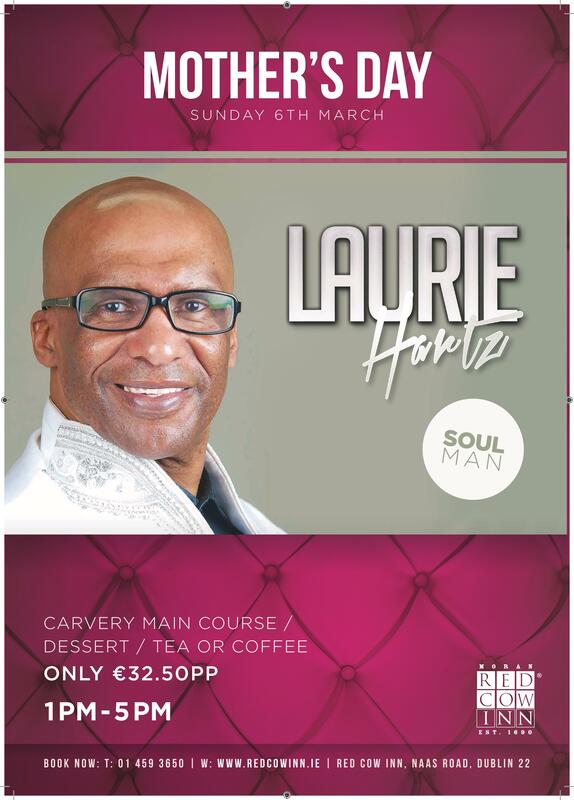 Laurie Hartz is always a hit with the ladies and will have your Mum tapping her foot and singing along to all the old favourites. 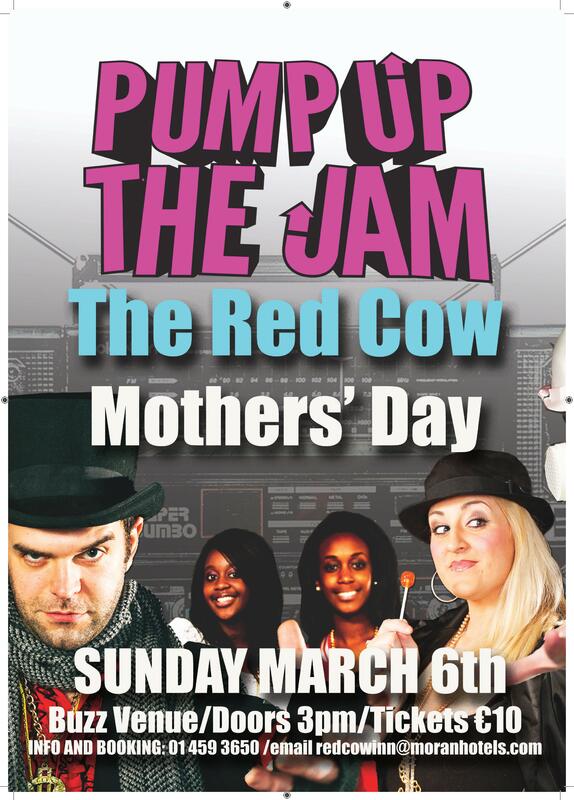 Pump up the Jam in Buzz Venue. 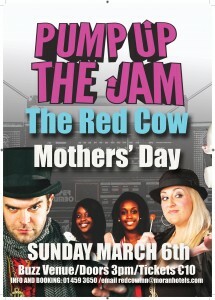 Promising the greatest 90’s party ever this Mothers Day. Show Only Tickets €10pp. 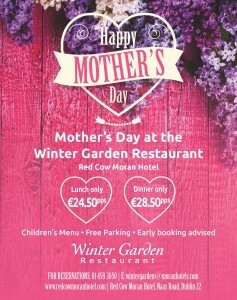 Mothers Day Lunch or Dinner in The Winter Garden Restaurant, Red Cow Moran Hotel. Lunch €24.50pp. 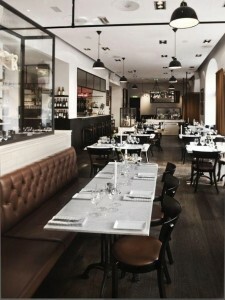 Dinner 28.50pp. Is Ireland ready for this yet? One of the predictions for 2016 is to forgo the line of identical bridesmaids for a mix of attire that best suits the individual, this also includes using separates that the ladies can add to their wardrobes and use again thereafter. 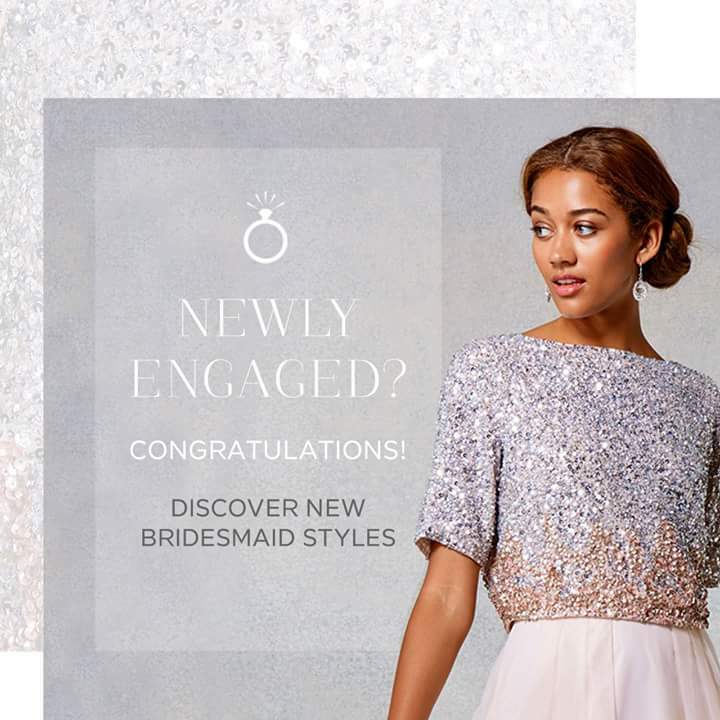 Coast have some a great selection of bridesmaid styles to choose from. Standard static group shots are soooo last season, bridal couples are electing instead for more reportage-style photography that tells more of a story. Add a little action to wedding photographs by ‘staging memorable scenes’ for example bridesmaid doing up the buttons on the brides gown or beautiful bride sweeping down magnificent staircase in the Lobby of the Red Cow Moran Hotel towards proud father with tear in his eye. At the reception another popular one is for the bride and groom to share a piece of cake rather than the traditional cake cutting image. If you’re really daring you could even hire a drone to take some random aerial shots. Floaty off the shoulder dresses with floral headpieces and lashings of lace are trending once more for 2016. Carry the look into the reception venue by adding dream catchers, lots of texture and bold florals. 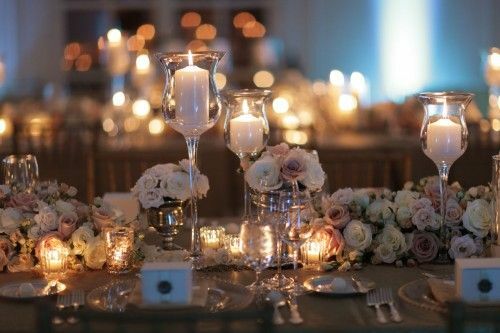 Lighting is getting bigger and bigger and with the introduction of fake candles that are so real you could mistake them for the real thing, couples are not skimping on this element of their wedding décor. An inexpensive but effective way to add a warm atmosphere to any setting. 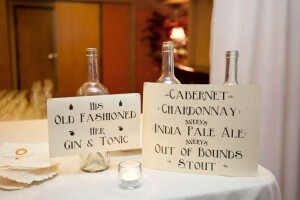 Gone are the days of wedding receptions where the Bride’s family are on one side and the Grooms on the other. Big efforts are now being made to mix the two families and this has the biggest implication at the wedding banquet. Couples are choosing to ditch the top table and instead to sit with their guests and others are also switching from rounds to trestle tables to allow guests to sit more closely and engage more easily with each other. Each stage of the wedding has become an event in itself and bridal couples are tending more and more to reflect this in their entertainment plans. 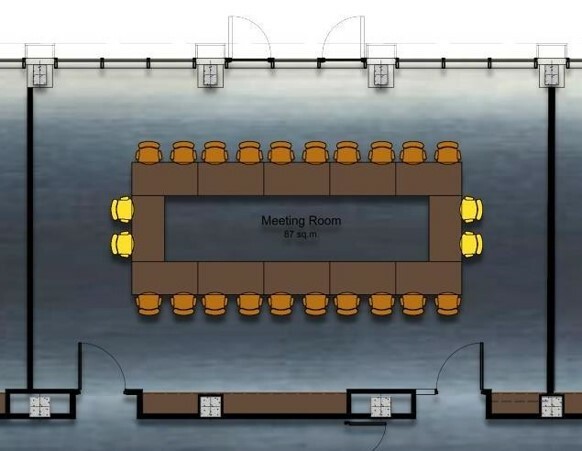 A full schedule could incorporate a gospel choir or a folk singer for the marriage service, a pianist for the drinks reception, instrumental during dinner followed by the ‘main’ wedding band and closed off with a DJ….phew! Whatever the choice make sure that you book your main act early! Some of the best wedding bands in Ireland can often be booked out years in advance. 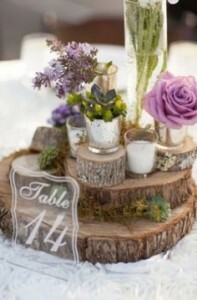 Anything goes for table centrepieces these days, from a potted tree to a flowering plant. A budget friendly version would be to use bare branches and adorn with cheap and cheerful ornaments like sparkly jewels or crepe paper. Our beautiful candelabras are still proving popular for weddings at the Red Cow Moran Hotel. So there you have it, there are loads more depending on which magazine you pick up or which website you google but these were our favourites and the best thing about them is all could be incorporated into your wedding reception at the Red Cow Moran Hotel. Our Next Wedding Showcase is on Wednesday 17th February (5-8pm) so why don’t you come along. Admission is free and it presents a great opportunity for you and members of your bridal party to see our magnificent ballroom, chat to our team and get tips and advice from a host of experts on a whole range of wedding trends for your own Special Day! some of the terrific Christmas festivities happening around this great city of ours. 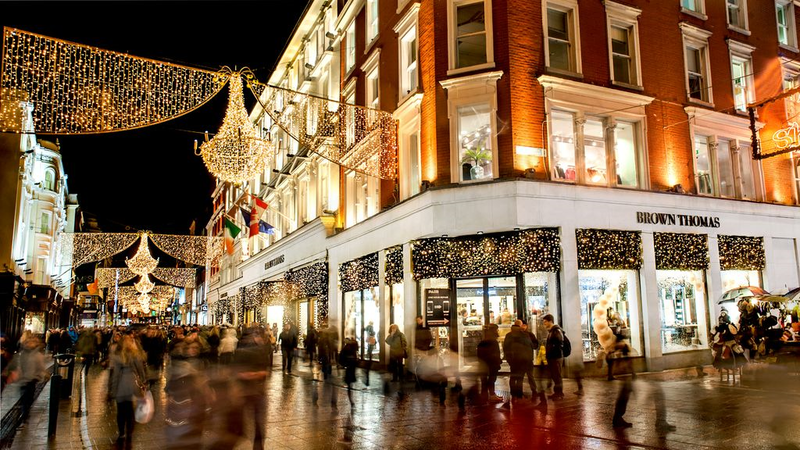 Dublin is a hive of activity at Christmas and there’s something to suit all ages and tastes. For the kiddies a Santa visit is a must, last minute texts to Santa with wish lists are all very well but really the best medium for kids to deliver their own special requests is to talk to the man himself! There are so many wonderful Santa experiences across Dublin but one in particular that we thought we’d highlight is the Airfield Estate Christmas Experience. A different dynamic to most Santa’s Visits; instead of individual trips into the Big Man which involve queuing and waiting, waiting and queuing, the group, which is kept quite intimate go in to meet Santa together. Sitting on the floor around Santa, he chats to each of the kids and asks them individually what they would like for Christmas. Then he calls out each child’s name and hands them a gift. It’s a really nice relaxed affair. After meeting Santa the kids can go and write their letters to Santa and elves are at hand to stamp and help post them. They can also visit the reindeers and Santa and Mrs Claus’ bedroom. Thumbs up for the Airfield Estate Christmas Experience. Another great option for time-out during the Christmas Chaos is to do a spot of ice-skating. Certainly something a little different that is fun to do for a date night or with a group of friends. 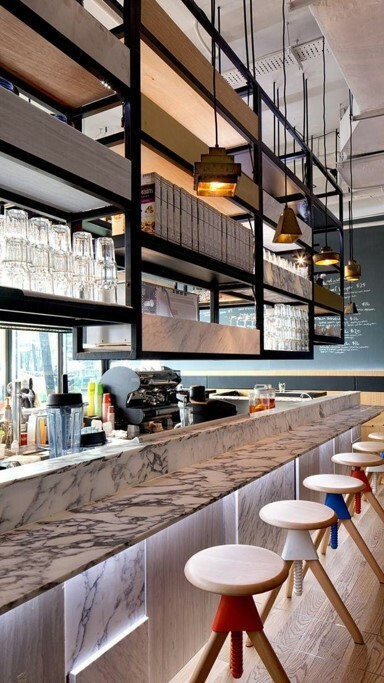 Dundrum on Ice have a great set up and there’s plenty of choice for places to go for a bite and a bevvie after. 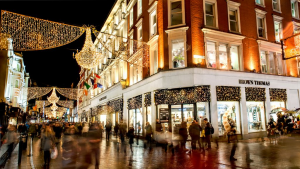 Sadly the Christmas Markets didn’t happen for Dublin this year but there’s always Grafton Street for the obligatory stroll on Christmas Eve to soak up the festive atmosphere. Best done when you’re organised and have the shopping finished so you can observe but not have to partake in the chaos around you. It’s also lovely meeting up with friends and family for ‘one’ before you head home to the wrapping. Have you recently got engaged? Are you now looking for the perfect wedding venue? Bride of the Year Show is on this weekend at the RDS Saturday 24th and Sunday 25th . It is on 11am to 5pm daily. 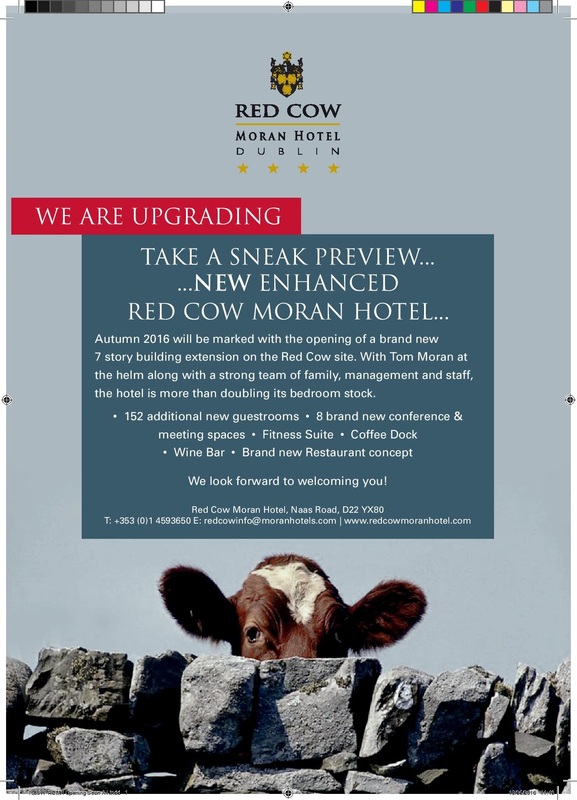 The Red Cow Moran Hotel will be at the show. Their wedding stand number is D16. Visit our wedding stand and speak with our dedicated wedding coordinators at the show. 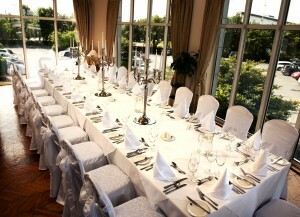 If you book your wedding at the Bride of the Year Show you will receive €1000 off our exclusive ‘Moon’ Wedding Package. 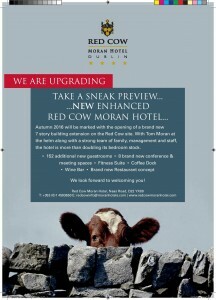 Check out our gallery for weddings at Red Cow Moran Hotel. All other queries relating to Bride of the year Show check out their website here. Have you just got engaged over the festive season and are now planning your special Wedding Day? The Southern Brides Wedding Show takes place this January in The Silver Springs Moran Hotel on 10th & 11th of January 2015. The Southern Brides Wedding Show is the perfect place to meet with many wedding suppliers and services and listen to their advice while availing of some fantastic offers to save you money. If you are planning your wedding or helping a friend this Wedding Fair will save you lots of time. Services such as Photographers, Cakes, Honeymoons and Bridal Wear are all in the one place, at The Silver Springs Moran Hotel. It’s a perfect day out with your husband to be, wedding party or just family and friends. Don’t miss the amazing fashion show with Bridal Wear & Menswear and Fashion. Glenda Gildon from Xpose & TV3 will MC on Saturday 10th January. 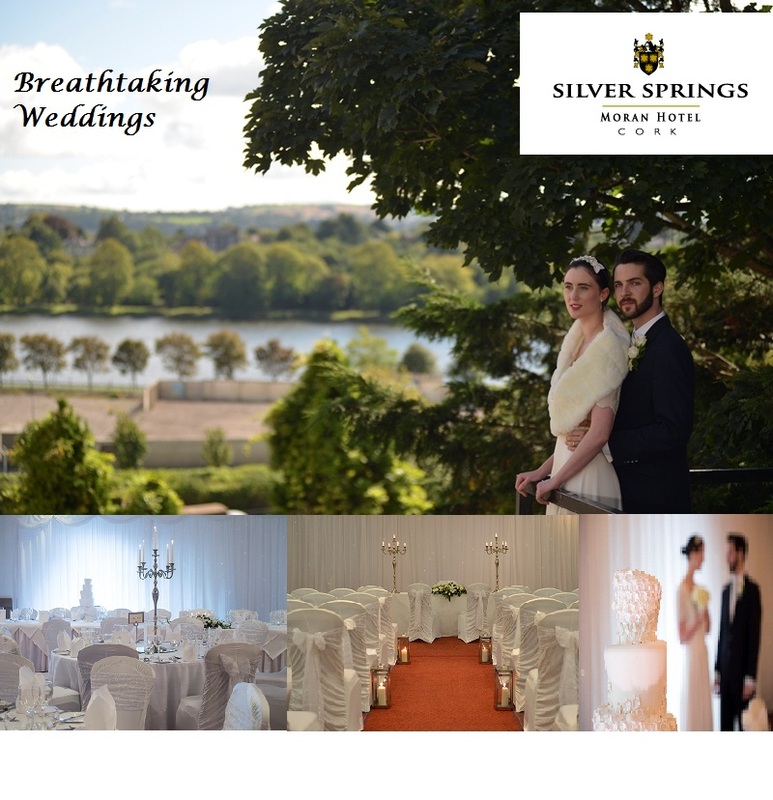 The Silver Springs Moran Hotel is listed as one of the best wedding venues in Munster and one of the top wedding venues in Ireland. 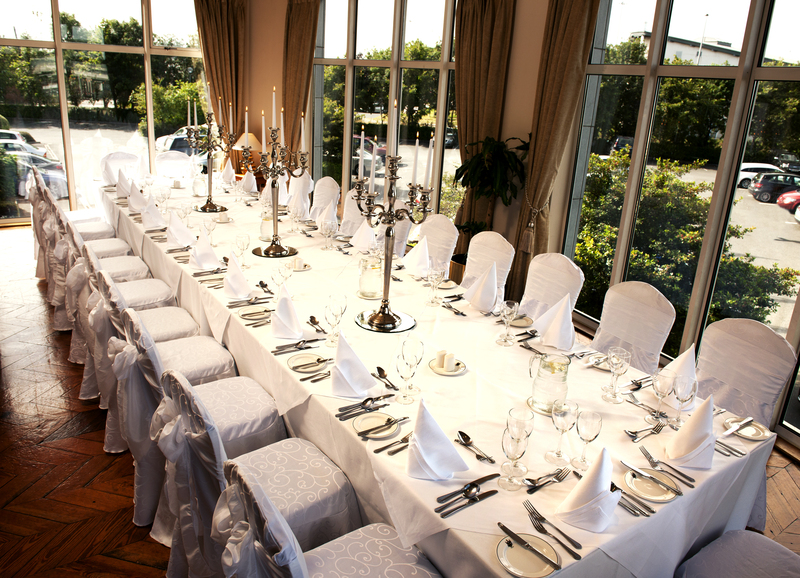 Having won the Southern Brides Best Business award this Cork wedding venue is the perfect venue for your special day.